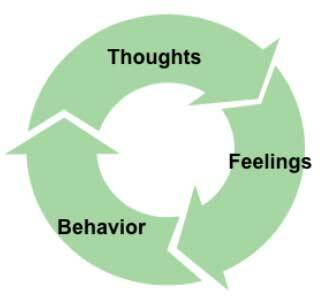 Orlando CBT Therapist shares, “what you think about, and the thoughts that go through your mind have a direct effect on how you feel and behave.” When you are happy and feeling good, what thoughts are you thinking and how are you behaving? And when you are feeling anxious, angry or depressed, what kinds of thoughts are you having and how do you think you might be behaving? Thought 1 Great! Maybe he wants to praise me for my last report. Thought 2 Oh no! He is going to criticize me for my work. I’ll probably get fired! Behavior: Pacing. Can’t concentrate or prepare for the meeting. Physical: Tense. Sick feeling in stomach. Thought 3 I can’t believe this! I worked really hard on this report. I just know he won’t be happy. He is such a jerk. I should just quit. Behavior: Slam the door. Can’t focus or prepare for the meeting. Physical: Racing heart, tight muscles, red face. Thought 4 I don’t really care about this job, so it doesn’t matter. Nothing I ever do is good enough anyway. Why bother? Behavior: Sit and brood. Do no preparations for the meeting. Physical: Tired. Can’t seem to move. Can you see from the above example that how and what we think about a situation determines how we behave and how we feel physically? When we repeatedly think in negative and catastrophic ways, emotions like anxiety, depression and anger may result and contribute to unpleasant physical symptoms and unhealthy behaviors. This is where Orlando CBT therapist can help. What evidence do you have for your prediction? What evidence do you have against your prediction? What’s the worst thing that could happen? Could you still cope? What is the best possibly outcome? What are the consequences of worrying about this situation? What is a more helpful way to look at the situation? What would you say to a friend who is going through this situation? At GroundWork Counseling, an Orlando CBT therapist will teach you how to keep a thought diary and help you to dispute and replace your unhelpful thoughts that are contributing to your feelings of anxiety, depression and anger. By working together, we can help you to increase positive emotions, optimism and resilience and help you to let go of unhelpful thoughts, feelings and behaviors. *When seeking Cognitive Behavioral Therapy (CBT) it is important to discuss your therapist’s training and certification in Cognitive Behavioral Therapy to insure the services you are receiving is evidenced-based CBT. 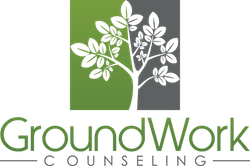 At GroundWork Counseling, our therapist are trained in, and have received certification in the evidenced based practices of CBT.